Friday, December 14th saw the release of the Pixar 1 Little Green Men combo at D-Streets and Online. 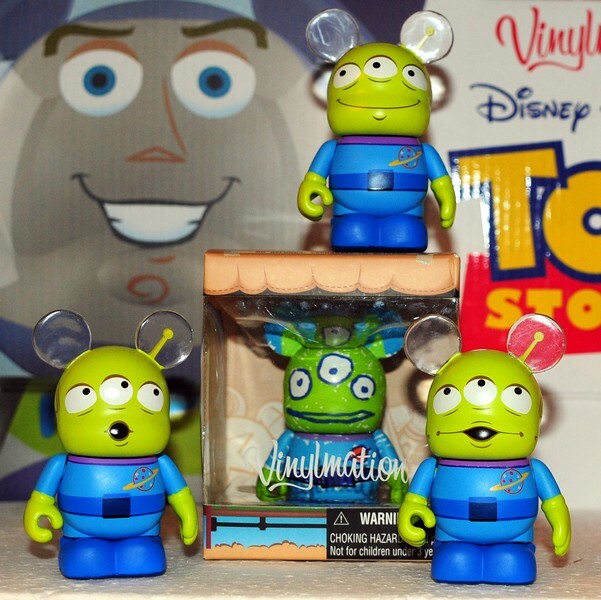 The set of three Little Green Men is a limited edition 2000 and retails for $44.95. The online quantity sold out in less than 15 minutes. As of the end of the day on Friday, both D-Streets still had an undefined number of sets left on the shelves. It was not a very crowded release at Walt Disney World. There were about 5 people in line at 6am and about 20 by 8am. There were about 50-60 people at 10:30am when the store opened. 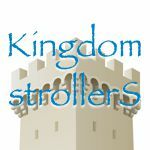 I felt bad for the vacationers, of which there seemed to be many. It was a very chilly morning… not the sunny Orlando they were promised. 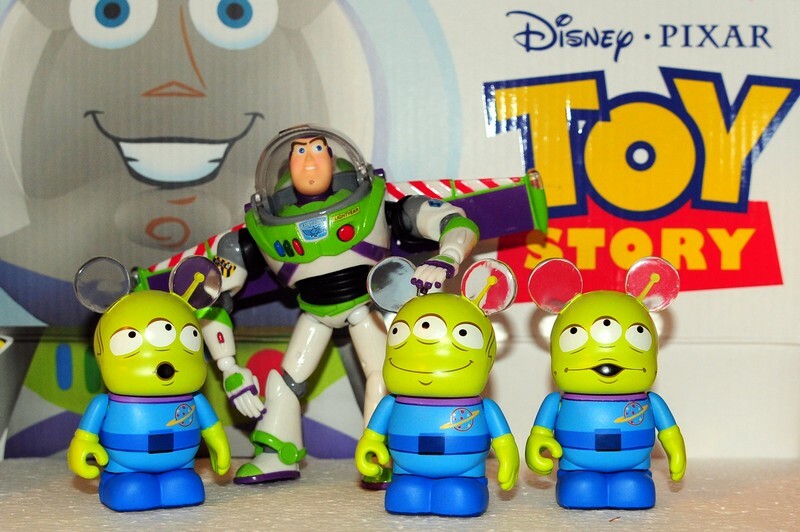 The Little Green Men fit in nicely with the Toy Story set produced a couple years ago. That set did include an LE 9″ version of the alien. 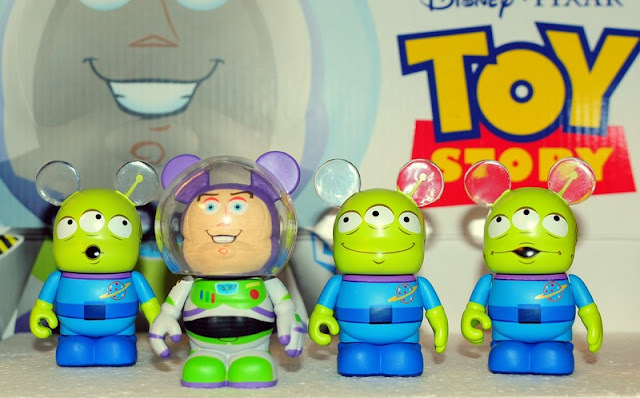 Artist Thomas Scott, who handled the Toy Story series, also designed this LE combo. He did a remarkable job with these three little guys. He gave them each a unique personality in the facial expressions and eyes. When put together, they make a perfect trio. 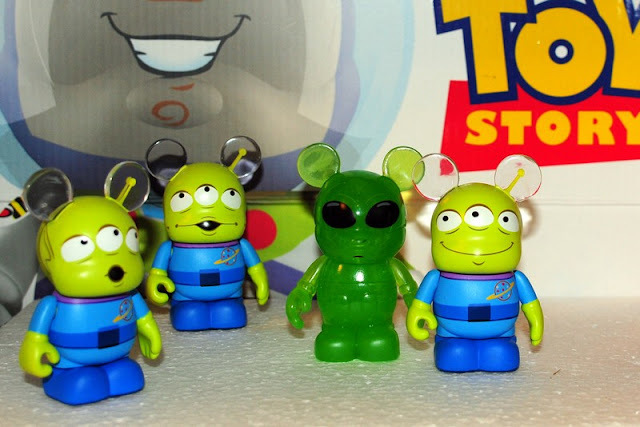 There is, of course also a Park 2 Toy Story Alien. 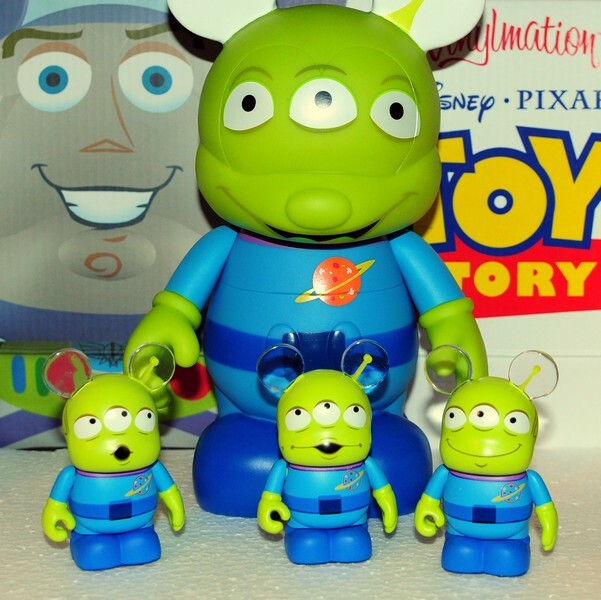 The guys are a little concerned about him as he has a different nose, no antenna and some suspicious bumps on his stomach. They think he should get those checked out. An Andy’s drawing version from Japan was released earlier this year. The new LGM are impressed by the artistry, but think it best to keep this work of art boxed up until further research can be done. There is also a TS Alien in the recently released Robots 3 set now on sale at The Disney Store and Online. They haven’t met him yet. Then there is the Urban 7 Alien. They don’t know where he originates from, but it certainly isn’t the claw machine. They are split on weather or not he comes in peace. 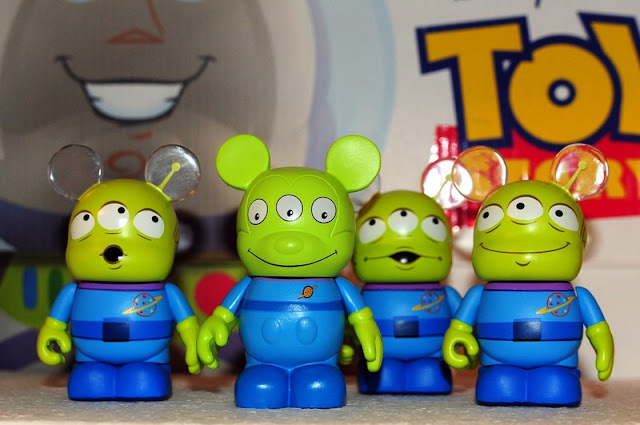 By the end of the day, the Little Green Men had settled in and felt right at home in my collection. New Window Display at D-Street Orlando: Commentary on the Hobby?